Mortal Kombat X didn’t have the smoothest launch on PC. Steam users are understandably upset about this—but even in trying times, they still make sure to crack a joke or two. The Steam reviews for Mortal Kombat X are, as of this writing, mostly negative. But people are still having fun with it all. You can expect some jabs at the game’s fatalities, its gore, and violence on top of jokes about the installing issues and crashes. 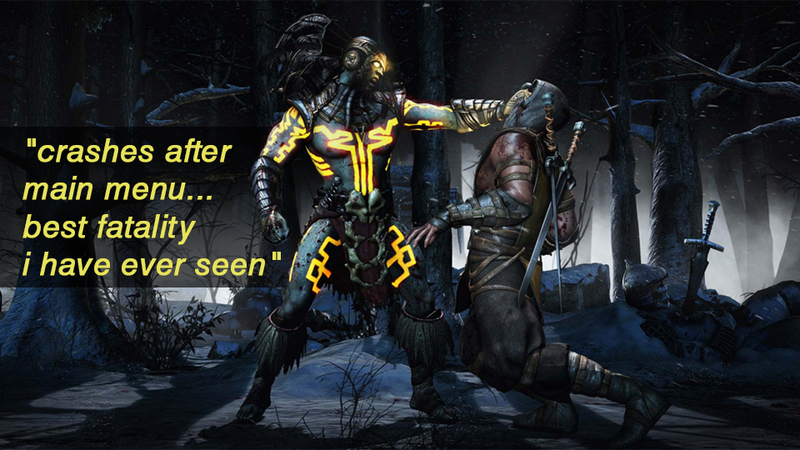 You can check out more reviews of Mortal Kombat X here, or check out our ongoing “As Told By Steam Reviews” feature here.